punk-influenced pop hits of Avril Lavigne and Ashlee Simpson was not lost on the audience. Each song was reflective of the anti-starlet niche that Sloan herself has joined, with her “sad girl” moniker. The singer-songwriter is quickly becoming a leading musical voice for today’s youth navigating the highs, and more often the lows, of simply getting older. When Sloan appeared to open the show with “Only One” the red-lit stage became blue, and brightened intensely so she was merely a shadow singing the heartbreaking lyrics, “I can’t be/ the only one/that’s lonely, tonight/I can’t be”. The previously loud crowd quieted to listen closely before joining her in singing the next chorus. Sloan finished the song with a smile and asked the audience “Are you guys ready to get sad tonight?” They erupted into cheers. As the show continued with songs “Ready Yet” and “Faking It” the juxtaposition of sad songs too catchy not to dance to, proved a reoccurring theme. As a performer, Sloan has a quiet stage presence that does not need to be overwhelming to be engaging. Her lyrics speak for themselves, and tell stories that can go without explanation in drawn-out interludes; but she does give humorous anecdotes that make her even more relatable. 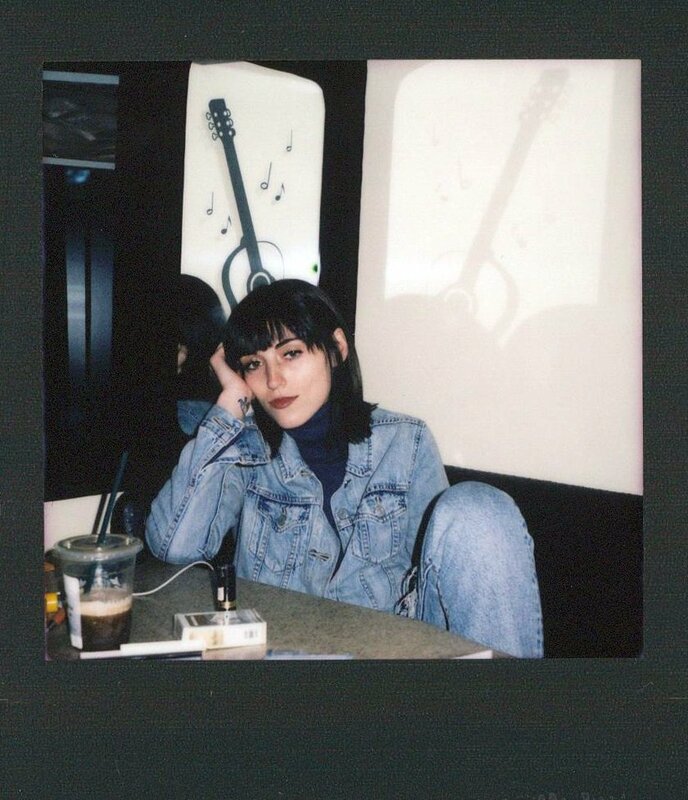 Self-deprecation aside, Sasha Sloan has a cool girl demeanor that utilizes her talent to push vulnerability in a way that would not otherwise be expected. It shows the normal in sadness and the hope in trying your best to figure it all out. A highlight of this skill is the song “Older”, about realizing her parents aren’t perfect amid their divorce, which she sang true-to-track at a mic stand with an acoustic guitar. Following the honest moment was another melancholy tune “Here”, about moving on from an old relationship. The vibe quickly shifted as Sloan began to sing “Normal”, she turned the mic to the crowd who passionately shouted every word back to the grooving singer. “Runaway” was the final song of the night before Sloan thanked Atlanta for the warm welcome for her, and opener Lauren Aquilina. Concert-goers may have been singing about sadness, but they were not alone, and maybe that was the realization everyone needed. Catch Sasha Sloan on her upcoming tour dates on the West Coast and Europe through June 2019.